My daughter came last week and within a day I suggested we go into the woods. There particularly was a road I wanted to explore, but not alone, as I was familiar enough to know there were places where it was only one lane, and I still do not know where it ultimately leads. 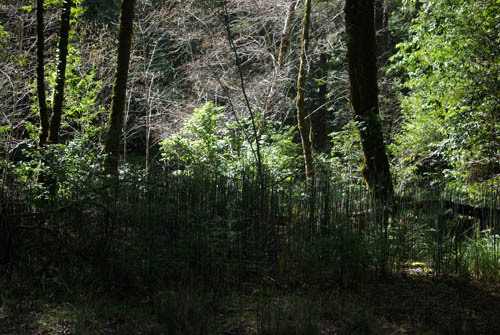 What I did know was that there were redwoods there, and redwoods are healing. So we went. We immediately felt ourselves breathing more deeply, soaking up the negative ions and grounding. It is still winter, afterall, however, and the dampness and the hour caused me to refrain from wanting to hike up any unknown trails. Oh, yes, the knowing that there were most likely bears and mountain lions in those woods was also a deterrent. Better to inquire first. I captured the following, intrigued. And we made our way back over a narrow steep hill toward home. Our full circle celebration past, the workweek began and I felt restless in my body, just unusually at odds with my familiar temple. “It’s time to focus on yourself, Kathryn. What do you need to do to bring yourself back to yourself fully? What would help you integrate what has happened and bring you back to peace and joy?” I knew it was time to go back to the woods for a second helping. This time I chose to go back to the road that carries many many family memories in its energy field. It’s the road that took me to live in the woods when Antonia left for college. 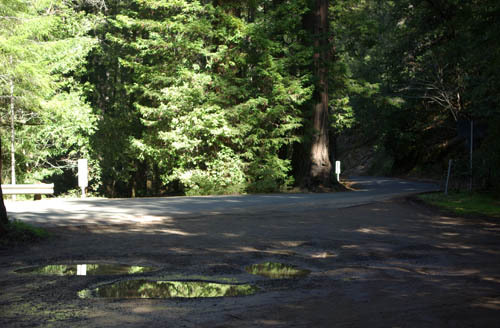 It’s the road I drove over to carry my father out to Mendocino to stay at the small local hotel. It’s the road that delivered my amazing 94 year-old Grandmother to her greatgranddaughter’s wedding. It’s the road that continues to take us to sacred familiar ground that frames the many phases of our lives and will, no doubt, for many years to come. It is stomping ground. It is holy ground. Let me show you. Doggies in tow, off we go. It’s hazy as we arrive on Hwy. 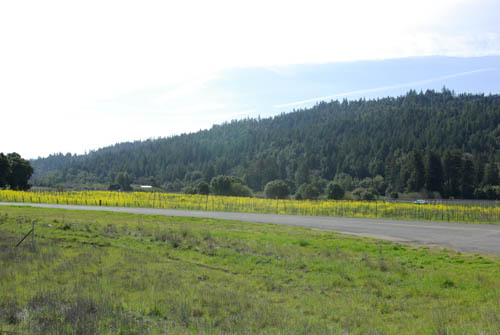 128, in the heart of Anderson Valley, known to many for its wineries. The mustard is in full blossom. As I head toward the redwoods my head whips ’round and I can barely believe what I am seeing: this flock of sheep running amok in a vineyard! I turn the car around and go back to capture the raucous, naughty frivolity! I am still giggling over this little event. The doggies liked it, too. They barked appreciatively. Continuing on our quest we made a pit stop at Gowan’s, which everyone does. I’m sure you have your version of this in your world at large. 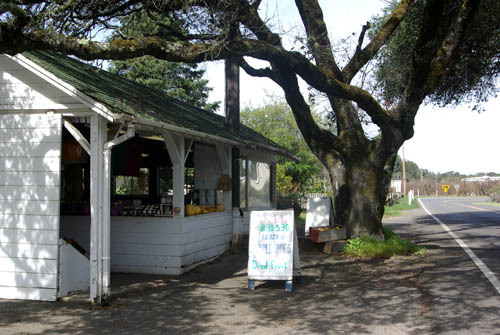 The small local fruit stand. (Maybe one day some of us will have our own!) Gowan’s is on over 250 acres and they have a LOT of apples! I bought some homemade blackberry jam, which my daughter will appreciate on my scones on her next visit up, no doubt. And a nice bag of apples came along. Feeling better already! As I let the doggies stretch their legs, so to speak, I found myself thinking how kind and thoughtful and inviting it was of the Gowans to add this little picnic area in back. 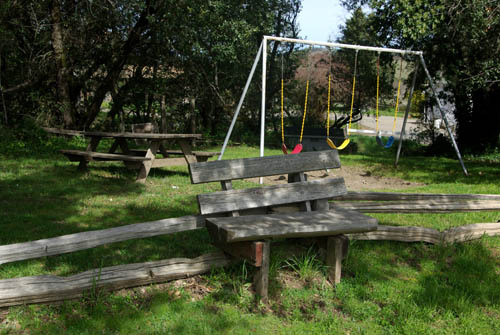 I loved the primary colored swings, awaiting joyful children in the sun. And the rustic bench is so inviting. Lots of behinds have sat there, I can imagine! 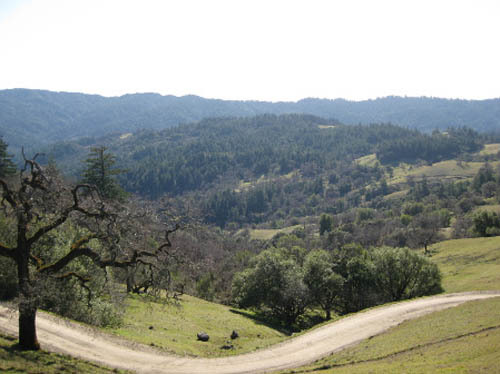 Continuing on our journey, the landscape suddenly and dramatically shifts as we approach the sacred redwood forest. The energy of the forest changes markedly. I remind myself that I am on a thin pencil of pavement that runs through a very large and holy terrain. Mindfulness of this fact is intrinsic to this experience. Even if one had no words one would know something has changed. We enter the forest. I stop the car and absorb the peace, the sanctity, the presence. 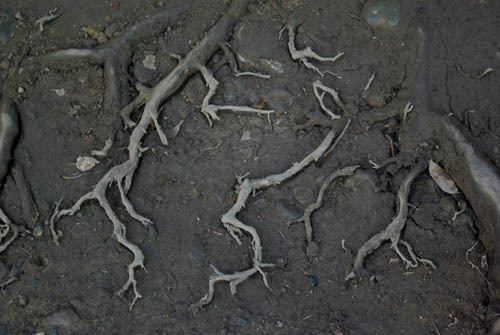 These ancient plants remind me how old the forest is, how small I am, how connected we are. 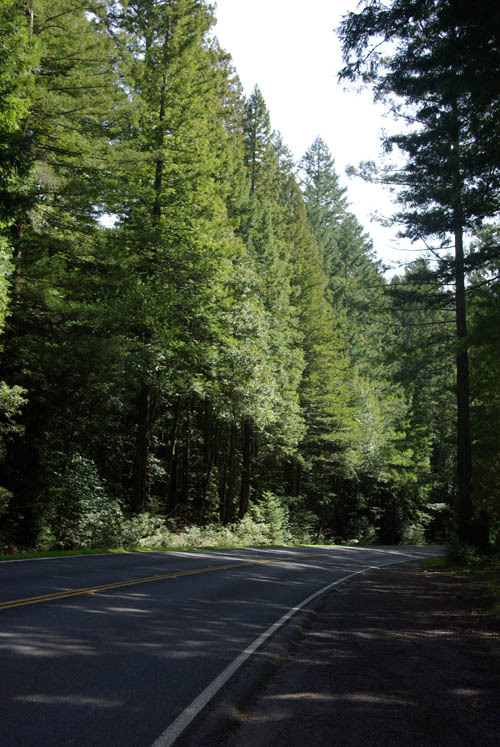 Thanking the forest for her beauty, at last we turn the car about and round the bend, facing the river, moving quietly and swiftly toward the ever embracing ocean. I absorb this truth. Retracing our path we come upon our happy landmark and head back to our sunny awaiting home, recharged and full of gratitude. Happy Postscript: I am honored to acknowledge that Plant Whatever Brings You Joy was given a Premio Dardos Award this week from esteemed colleague Anita Bruzzese on her blog 45things.com! Beautiful pictures, mom! 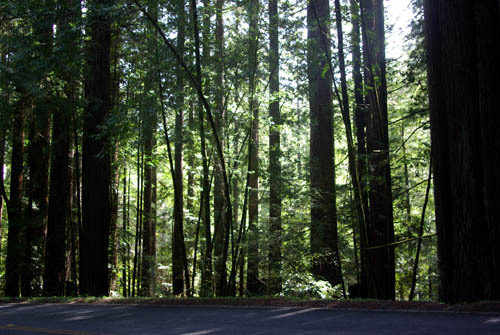 I Love those Sacred Redwoods so! Thanks for taking us along on your Gorgeous journey! What an incredibly beautiful area – I think that could revive anyone! Awesome photos. Holy ground is consecrated by bleeding, sweating, and transforming body and soul upon it. Holy ground is place given consciousness through unconsciousness being given place. That’s my take. Lovely pics and trip. 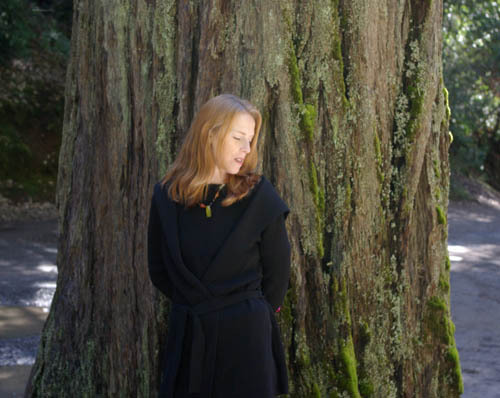 Even if I had not read your post and only looked at the beautiful photos of those magnificent redwoods, I would have known that was a sacred area – I could feel it through the pictures. But your wordcraft, as ever, drew such evocative pictures in my mind alongside the photos that I felt humbled to be sharing your journey. Thank you for sharing your journey. The restorative power of the forest is an awesome thing. I get the same sort of peace from being with the plants in my garden. Good morning, Liz. I feel humbled by your comments. Thank you so much for joining me on this journey. Going back to the source always grounds us, doesn’t it? Put things into perspective, so to speak. Antonia is a beauty. 🙂 Thank you for sharing your beautiful redwoods. What a special journey for healing. Kathryn, your post moved me. Gowan’s oak tree! Yay! Talk about fun! What a wonderful journey to take with Antonia and with doggies in tow. Doggies feel grief from those around them, so this sounds restorative for all. You have affirmed the sacredness of our natural places, and as the source for healing in the journey of our life. Nature will help you heal faster. Miraculous in its healing powers. I dig my fingers in the dirt and my body takes in the sunshine. And I feel empowered. Breathing in the deep gulps of spring arriving. Thank you, dear Kathryn, for sharing your healing journey. I’m here at the lake and hear your soul. Happy Spring, dear friend. Kathryn, thank you for showing us your beautiful trip. It is just stunning. I felt like I was there right with you and your daughter. Thank you for sharing this beautiful post. It touched my heart. Wow. This was like going into a new restaurant for the first time and seeing all the people in there looking well fed and you set down and order and out comes the best food you have ever tasted and there is so much of it you have to ask for a take home package. I felt like that coming here. I never saw so many interesting photos in one post before. 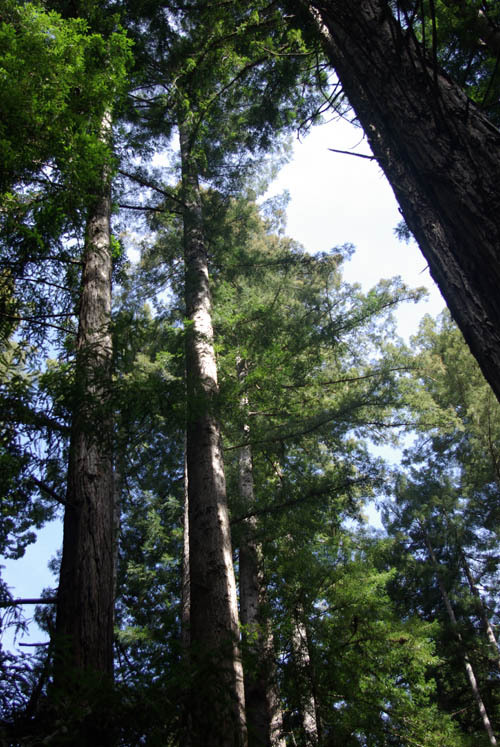 The old redwood trees are giants in time and well worth looking at and taking pictures of. 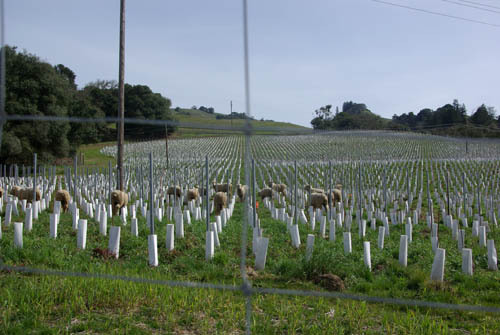 I like all the photos but smiled when I saw the sheep in the vineyard. 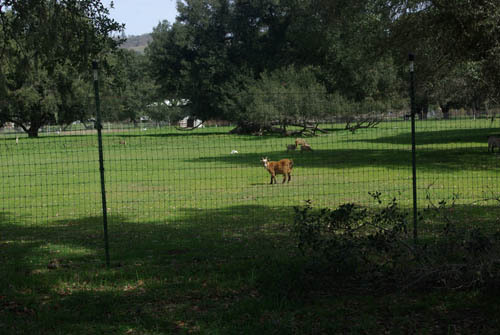 I can imagine they were put in there by their owner to eat the grass around the vines. And while they eat they also fertilize. A perfect solution. I remember when I was a kid that a lot of people used sheep instead of lawn mowers to cut their lawn grass. It is lovely to discover you today! And your love for the redwoods & your daughter. 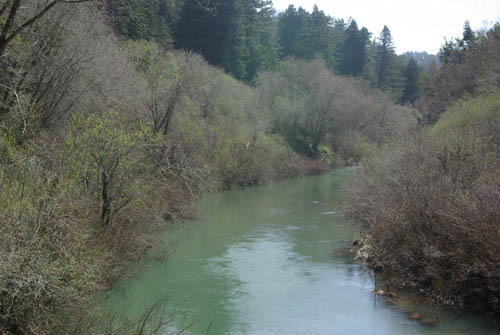 I live in the redwoods on the Russian River. It is a bit isolating in many ways. And yet I can’t seem to consider moving away from these gorgeous beings. Thank you Kathryn for your lovely photos & journies thru your words.